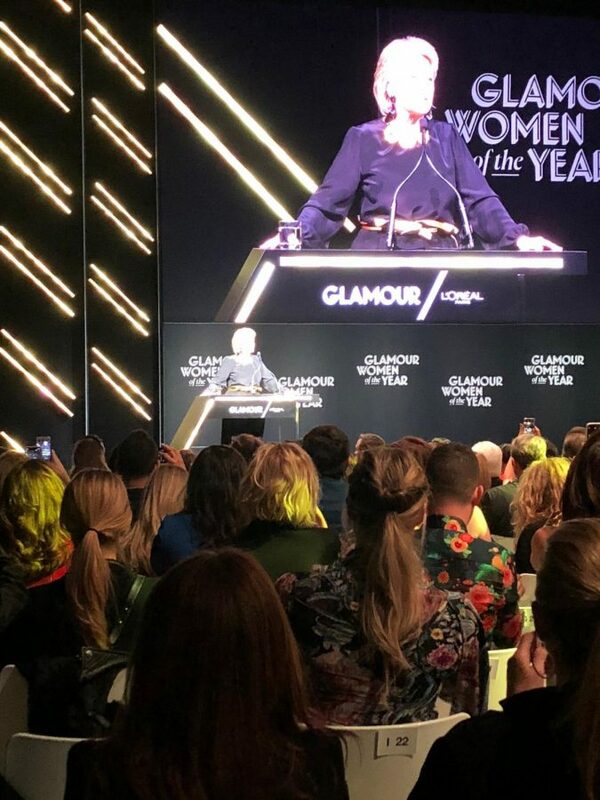 This November, I was fortunate enough to have been invited to the annual Glamour Women of the Year Awards. The Awards events spanned a three day period, of which I was able to attend two: the Sunday Summit and the Monday Night Awards. The Sunday Summit began at 8:45 am at Spring Studios in Manhattan. As we waited at the unopened door of the studio, it was instantaneously clear that everybody here was friends. The people in line introduced themselves and their background while we waited on the frigid sidewalk. The Sunday Summit had an amazing lineup: Lili Reinhart, March for Our Lives representatives, The Today Show’s Hoda and Savanna, and the judge from the Dr. Larry Nassar trials along with many of the victims of his abuse. Each speaker had her own purpose and strengths. Although the speakers were inspiring through their words, the most amazing part was the experience. Actress Lili Reinhart focused on body image, while Judge Rosemarie Aquilina focused on defying standards from the past and going with your gut. Each speaker addressed the difficulty she surpassed when defying common media standards; whether it was through the unprecedented move of letting survivors speak for as long as they wished during a trial, or starting a company from the ground up with little funds. After each speaker, they opened the floor for a Q and A, where each guest of the event had the opportunity to step out of their comfort zone and ask a vulnerable question. The host, comedian Pheobe Robinson, surprised the crowd with an occasional giveaway or a knee-slapper, keeping everybody interested through the nine-hour day at Spring Studios. 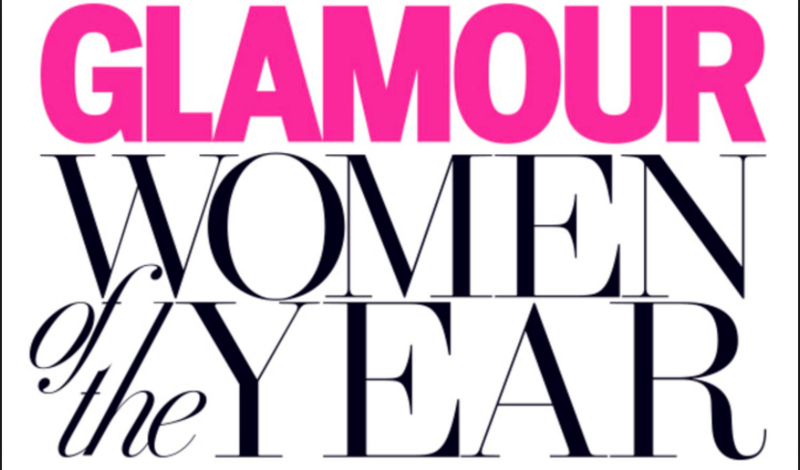 Monday night was the Glamour Women of the Year Awards gala. Each award-winner was presented her award by one of her supporters. Honorees included Chrissy Teigen, March for Our Lives representatives, Betty Soskin (a 95-year-old national parks ranger), Viola Davis, Manal Al-Sharif (who was involved in making if legal for women in Saudi Arabia to drive), Janelle Monae, and Kamala Harris. Chrissy Tiegan’s introduction was the most memorable. Most in the audience shed a tear as her spouse, John Legend, made a touching tribute to Teigen, tearing up in the end. In the end, there was a surprise guest: former senator, First Lady and presidential candidate Hillary Clinton. She addressed the importance of women running for office, almost encouraging the audience to run themselves. Overall, there was no other feeling but empowered to describe the way I returned home after these events. Each speaker was able to adapt her story into an inspirational missive to each guest. Halsey shared a poem, many others shared personal snapshots and songs. Thank you, Glamour, for the most amazing weekend of my life. For more information on next year’s summit, lineup, and ticket availability, click here.